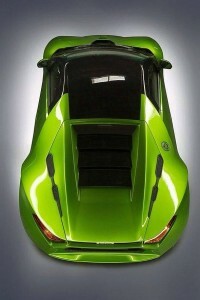 Snapshot: Indian design house DC Design, headed by automotive journalist turned designer Mr Dilip Chhabria, unveiled the production version of the country’s first real sportscar, the DC Avanti. The production-spec DC Avanti was showcased at the just concluded 2014 Indian Auto Expo, to a rapturous response. The mid-engined sportscar will go into production at DC Design’s production facility situated in Talegaon, off Pune. Production is slated to commence from the middle of this year, with a monthly production capacity of 100 units. The DC Avanti is expected to carry an ex-showroom price between 25 and 30 lakh rupees. DC Design has plans of a limited, 3,500 unit run for the Avanti. The car is powered by a 2 liter Ford EcoBoost turbo petrol motor that outputs 250 Bhp of peak power and 360 Nm of peak torque. Interestingly, this engine also finds application in the Range Rover Evoque luxury crossover as Jaguar-Land Rover were once owned by Ford and continue to use engines and transmissions developed by Ford and Peugeot. On the Avanti though, the 2 liter EcoBoost turbo petrol engine is mid-mounted. 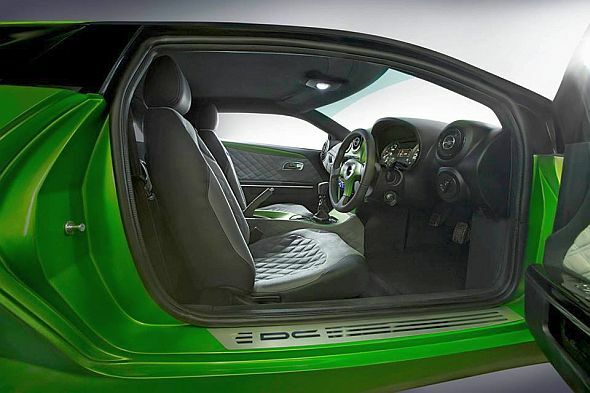 A 6 speed manual gearbox drives the rear wheels of the sportscar. DC Design has plans of introducing a higher powered version of the Avanti, with a Honda V6 motor that will output nearly 400 Bhp. With the Ford EcoBoost engine under the hood, claimed performance figures of the Avanti are as follows. The car is said to hit 100 Kph from standstill in under 8 seconds. Top speed is electronically limited to 250 Kph. The production-spec DC Design Avanti weighs 1,582 kilograms and can seat two adults. The car is built on a steel tubular frame with aluminum playing a major role in the panels. The car rides on 19 inch wheels, shod with 255/35 rubber up front and 295/30 rubber at the rear. 330 mm disc brakes handle stopping power on all four wheels, while ABS+EBD and SRS airbags are standard fitments. « Rumour: India-spec Ford EcoSport compact crossover to get a sunroof?